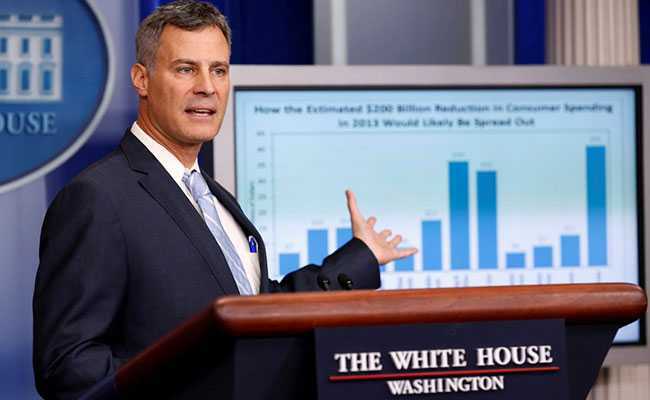 Alan Krueger served in the last two Democratic administrations - as chief economist for the U.S. Department of Labor during the Clinton era and as chair of the White House Council of Economic Advisers for Obama. Alan Krueger was a prominent Princeton University economics professor. Alan Krueger, a prominent Princeton University economics professor who advised U.S. Presidents Bill Clinton and Barack Obama, took his own life over the weekend, his family said in a statement on Monday. He was 58. The statement did not elaborate about the circumstances of Krueger's death, nor did the university when confirming it earlier in the day. Krueger served in the last two Democratic administrations - as chief economist for the U.S. Department of Labor during the Clinton era and as chair of the White House Council of Economic Advisers for Obama. "It is with tremendous sadness we share that Professor Alan B. Krueger, beloved husband, father, son, brother, and Princeton professor of economics took his own life over the weekend," his family said in the statement furnished by the university. "The family requests the time and space to grieve and remember him." He had taught economics at Princeton since 1987. Last week, Krueger delivered a lecture at Stanford University in California on income distribution and labor market regulation titled "Why is Basic Universal Income So Controversial?" "Alan was recognized as a true leader in his field, known and admired for both his research and teaching," Princeton said in a statement. An avid music fan, Krueger posted about Bruce Springsteen and other rock stars on Twitter and wove David Bowie into his lectures. He made this passion the subject of his latest research in his forthcoming book on economics and the music industry, due to be released in June. Krueger received numerous awards, including the Kershaw Prize from the Association for Public Policy and Management in 1997 for distinguished contributions to public policy analysis by someone under the age of 40.